Kelham Island Industrial Museum tells the story of the industrial past of Sheffield. See the Little Mesters who were the early makers of cutlery, tools and silverware. 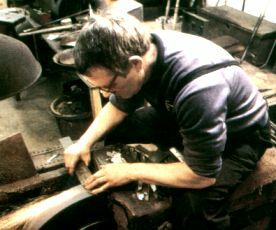 Watch craftsmen performing the skills of olden times as they make cutlery and surgical instruments. See the mighty River Don Steam Engine which used to run the rolling mills to turn out steel plate. The engine is usually run twice per day. You may see here the Bessemer Converter, one of the giant steel producing pieces of machinery from old steelmaking times and view a knife with 365 retractable blades. Traces the history of the city through the Industrial Revolution through to Victorian times into the 20th Century. 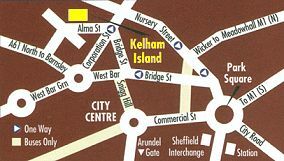 Special Events at Kelham Island within Sheffield Events Pages. Don't miss the Victorian Christmas Market early in December. There are plenty of opportunities for children to get their hands on creative processes including science, technology, computing, geography, the environment and creative arts. Contact - 0114 2722106.